Home » Travel Tips » Travel Beauty Secrets Revealed! It’s been a decade since we were bitten by the traveling bug and every opportunity we got, we would pack our bags and shoot out to a new destination. By end of 2017, traveling had become a part of our daily lives. We quit our jobs to travel full time. As travelers, being on the road for days and months together we know and understand how much our skin gets neglected and we cannot really blame our traveler selves for it because skin care is not even the last thing on our mind and as a result our skin has taken a major hit and by the end of every trip our skin looks dull and lifeless like many others. And that’s why we have collated some handy travel beauty secrets we follow! Recently, we noticed the tired look we have with prominent dark circles, dull skin with no glow and most of the times our tanned faces. But then we thought! Wasn’t the thing we love doing the most supposed to cheer us up- well? Yes it does, but then mirrors don’t lie and sure enough, every time we came back home and looked ourselves in the mirror it seemed to be killing it big time! This year we have decided to give priority to our skin as well as we give to our travel. So, we decided to start off with a skin care treatment and we visited Kosmoderma. Thereafter a detailed consultation with the dermatologist we got to know of just the right things to do to keep the skin healthy and hence we are writing this blog so that every traveler who goes through the same pain as us gets to learn and understand a few basics which can really help us get rid of the tiring face we have been facing since ages. Make sure that the face is frequently washed- at least twice a day i.e. once in the morning and once before you go to sleep so that the skin is ridden of all the dust and dirt that gets accumulated during the travel. 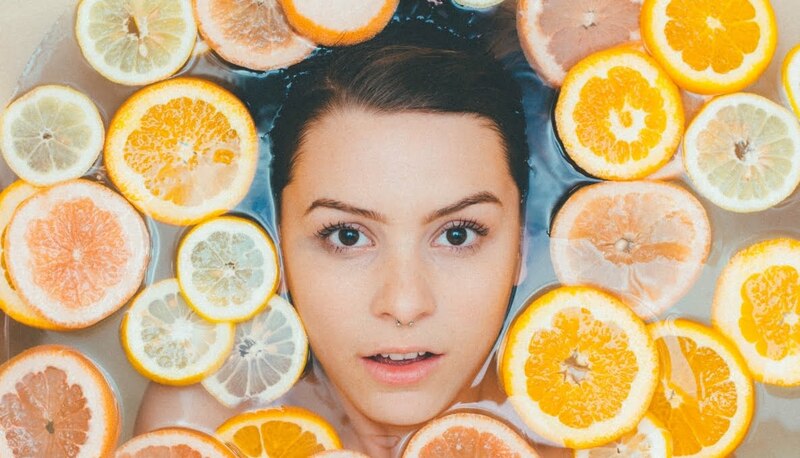 Secondly, avoid using soaps on your skin strictly as soaps rip off the moisture from your skin rather use a PH balanced cleanser. We all know that water is relaxing but at times it also dries your skin hence go for lukewarm to warm water while showering. Fidgeting with the shower’s temperature isn’t really a good idea too so try and switch to random shots of cool water in between which this will help lock the moisture in. Most hotels you stay in will offer you loads of tea bags and 99.9% of the times they are available for free. So whenever possible soak up two tea bags and then put them in the fridge to cool off and before sleeping put these bags on your eyes. This will help relax your eyes and you will also notice the dark circles and eye bags fade away gradually. Another thing which helps in improving the skin texture and tone is using lots of Green tea because they are rich in antioxidants. Always remember to moisturize your skin right after the bath as the pores are still open and the skin has the ability to absorb more. Fluid up!!! Drink lots of water especially if you are also drinking alcohol on your holiday. Remember alcohol dehydrates the body & skin leaving the skin looking dull & lifeless. It’s important to watch your diet because while traveling we tend to eat a lot of junk which can contribute substantially to your daily calorie intake, creating a risk of getting overweight and obesity and it also reflects on your skin. Staying away from fatty junk foods like chips, sweets, cakes etc can help a lot. Rather whenever and wherever possible opt for fruits, vegetables, dry fruits etc. Also, try not to skip meals as you are more likely to overeat when you are hungry. Suggested Read – Traveling to high altitudes? You must do this to avoid AMS!! If you are a person who tends to sweat a lot, make sure to carry a little bottle of antiperspirant/deodorant to help with the excessive sweating & body odor. You could also use talcum powder which will help absorb the sweat. There is nothing more repelling in a person than bad body odor. In case you are someone who suffers from the problem of excessive sweating then immediately opt to see a dermatologist for a quick fix solution. Always ensure that you rest well and get enough sleep. Long hours on a flight, jet lag, late nights, change is biological clocks etc leave the body tired. Sleep is one of the most important factors and the skin repairs & rejuvenates itself from daytime damage. Moreover, during sleep, the body also produces more collagen that helps prevent fine lines. Cover yourself well whenever in the sun and especially if there is a lot of outdoor activity like trekking, spending time on the beach, sightseeing etc. A sunscreen with a minimum of 25 SPF should be used. Also if you are out constantly then reapplying the sunscreen in about every 4 hours could save your skin a lot. You can also opt for oral antioxidants like Kosmoderma’s Sun Protect capsules which we have started using too. Take a capsule a day in the morning to boost the skins immunity towards the sun. In case of exposure to harsh sunlight, one could also use a scarf or hat to protect your skin and hair. To know more about these products log onto their website here. Scrubbing your face once instead of washing it with a wash is much better. Scrubs help in exfoliating the skin, thus removing dead dry skin. Lastly, travel light- instead of stocking up all your beauty supplies in bigger sizes, keep just enough to last your travel days! At last a little maintenance whenever you are back from your travel will not hurt! This time we tried the Rehydrating MediFacials at Kosmoderma Skin & Hair Clinics. The MediFacial really helped bring the water back to our skin and lock in the moisture leaving the skin soft, supple & glowing. You could opt for something like this too moreover Kosmoderma also offers a large array of services to cater to all your needs be it detan treatments for a post-summer/beach holiday tan , or rehydrating treatments for dry & dehydrated skin from long hours on a flight, pre/event or pre-travel pick me up treatments etc. Apart from your skin after your travels do pay attention to your hair as well. A nice Hot oil massage or a deep conditioning treatment should do the trick and help in restoring dry hair. We have decided to be strict and take good care of our skin and hair going forward. The beauty of travel would get even wonderful when we feel and look good too not just from outside but from within. 7 reasons why IIMB’s Unmaad’19 is a weekend getaway! India Needs Eco-Tourists. Are You One?